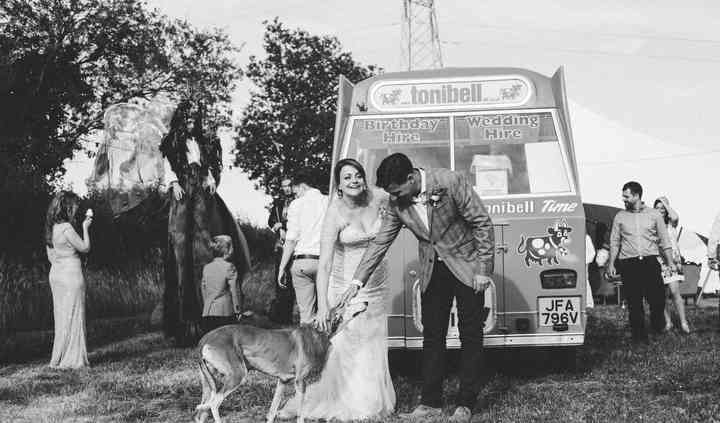 What better way to celebrate such a breath-taking moment in your life with an original tonibell from their well-remembered vintage collection of soft ice cream vans, unique in style and a pure piece of British History packed full of nostalgia. 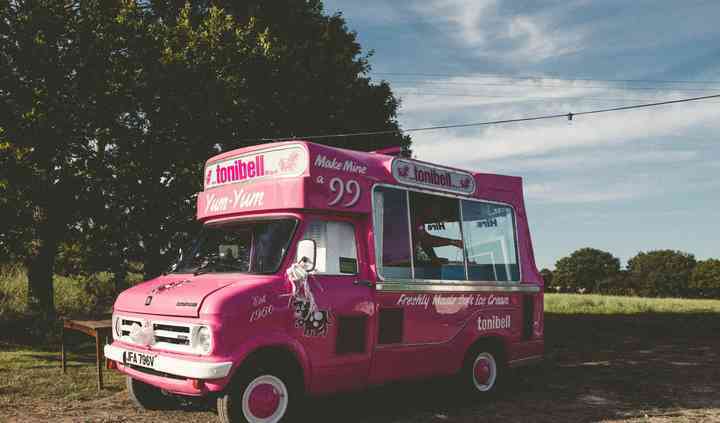 Tonibell 99's Ice Cream Van vehicles have been described as the second best thing to the ceremony itself and will bring you a vintage-style theme, serving all the remembered soft ice creams and multi flavours for all to enjoy. From vintage to classic or their modern fleet of wedding vehicles you do not need any fancy bunting or names, just as they are the presentation speaks for itself every time. Their brand is fully copyrighted so you will not see anyone else making this wonderful ice cream so that your day unique will be just that in every way and so different to what people expect. There are 97 different varieties of soft ice creams to choose from including some 10 different flavours of their retro flavours of Mint Choc Chip, Rum and Raisin, mouth-watering lemon ice, cherry, chocolate, strawberry, apple and more. You and your guests can create your own ice cream desserts, which makes for a great bonding experience and an after-dinner treat. You and your partner can revel in the fact that Wedding Ice Cream Van Hire will show up to the requested area right on time and begin serving ice cream for the time needed for guests to enjoy. You can arrange for the vintage ice cream van to make its entrance with ribbons or their tonibell chimes, as well as arrange for photo opportunities inside the van. Tonibell 99 doesn't want to limit their services to just one area. 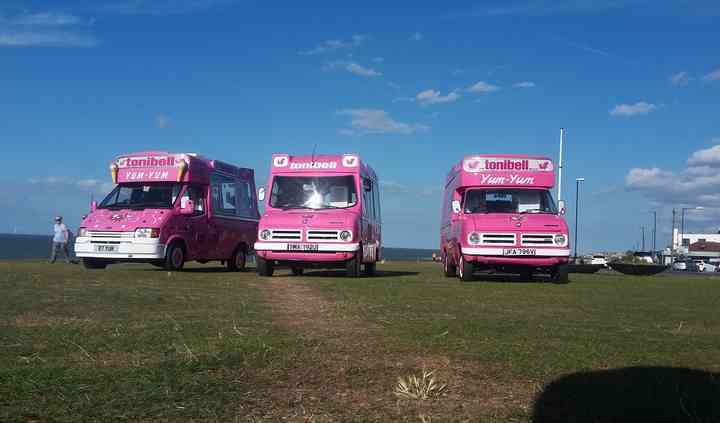 This is why they offer their premium ice cream van hire service to multiple areas within Kent, Surrey, London and Essex. They adjust to all types of budgets and venues. Their vehicles can operate inside halls and marquees and electricity powered.